Rock Climbing is a challenging adventurous sport for outdoor lovers. 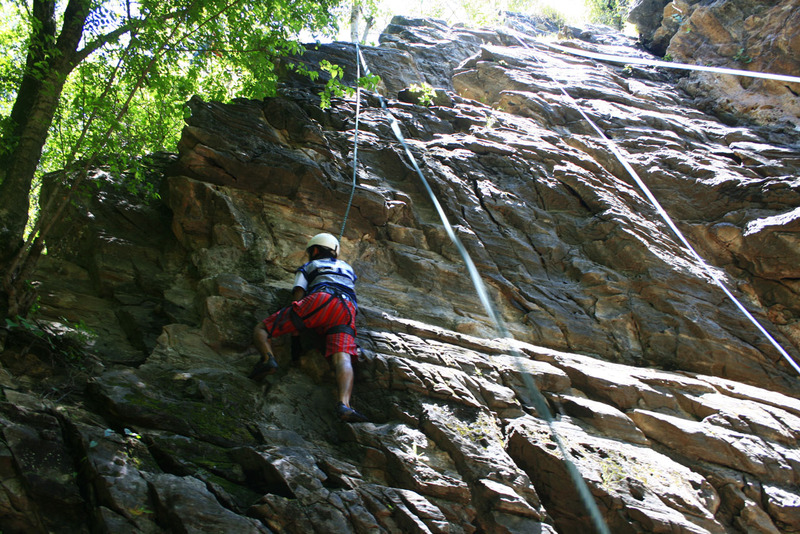 Most of the areas for Rock climbing are situated towards the north of Kathmandu in the Nagarjun forest and Shivapuri National parks areas. Trip to these places can be combined with hiking, bird watching, nature tours and other activities. Nagarjun 7 km can be reached via Balaju near New Bus Park. Shivapuri can be reached via Budhanilkantha which is 9 km outside the city area in Kathmandu, 24 km outside from Kathmandu to drive Hattiban rock climbing spot. Day 01 Arrival KTM Transfer to Hotel chick in, after refreshment at Hotel, short briefing Rock climbing Equipment. Day 02 from Kathmandu Hotel drive to Rock spot Hattiban or Nagarjun rock Spot. Day 03 Kathmandu world heritage site tour full day, Buddhanath, Pashupatinath Temple, Monky Temple. Day 04 Kathmandu Souvenirs Shopping to take your home. Day 0 5 Departure international flight, our staff will drop to you airport.